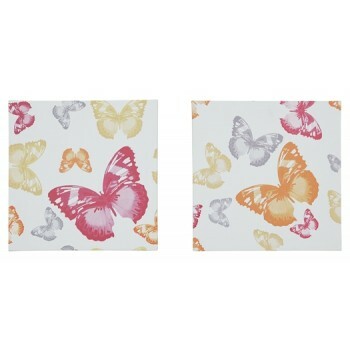 Break out of that cocoon and flutter in color with this 2-piece wall art set. Pink, gray, yellow and orange adorn the butterfly design. Crisp white background brings forth an airy spring-like freshness.